This 3,500 square foot, free-standing building with street frontage offered everything that KITE could have asked for – open studio space, large windows, and high ceilings. 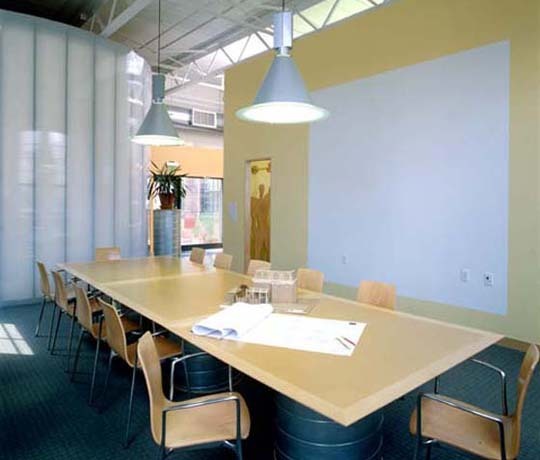 In order to emphasize the collaborative nature of the working process, spaces are kept open. In fact, less than 10% of the space is enclosed for toilet rooms, storage, and private conferences. 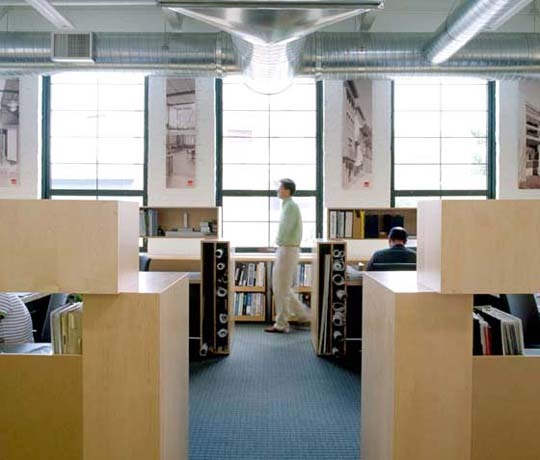 The remaining space has been cleverly articulated by the controlled placement of two folding wall planes that wind around the studio and free-standing millwork work stations. Carefully crafting the interiors as a total environment, the architects at KITE designed their own custom-built furniture, including workstations, library shelving, reception desk, work tables, and conference tables. The result is a showcase that exemplifies KITE’s unique sense of space, material, light, and attention to detail. 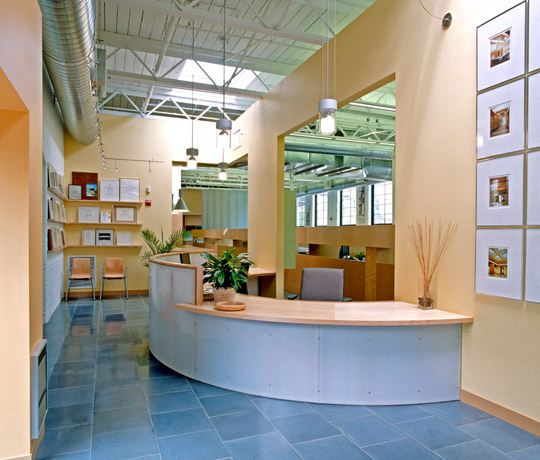 As an example of how sustainable design is integrated into KITE’s approach, the office features copious but balanced daylight, mechanical systems that maximize outside air use, and environmentally responsible finishes such as worktop surfaces made from Marmoleum (made from linseed oil) and recycled MDF furniture surfaces. 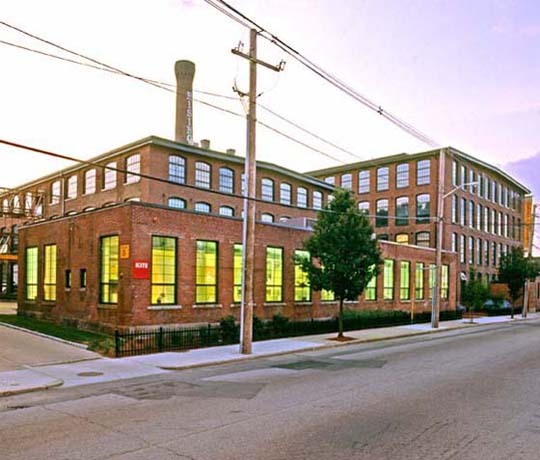 KITE’s commitment to building strong and diverse urban neighborhoods that reuse existing buildings and infrastructure and are both pedestrian and transit friendly is demonstrated by the choice to locate in the historic mill district of Olneyville.